RECOMMENDED: Learn more about the history of the Mills and other iconic historic buildings in Hong Kong. 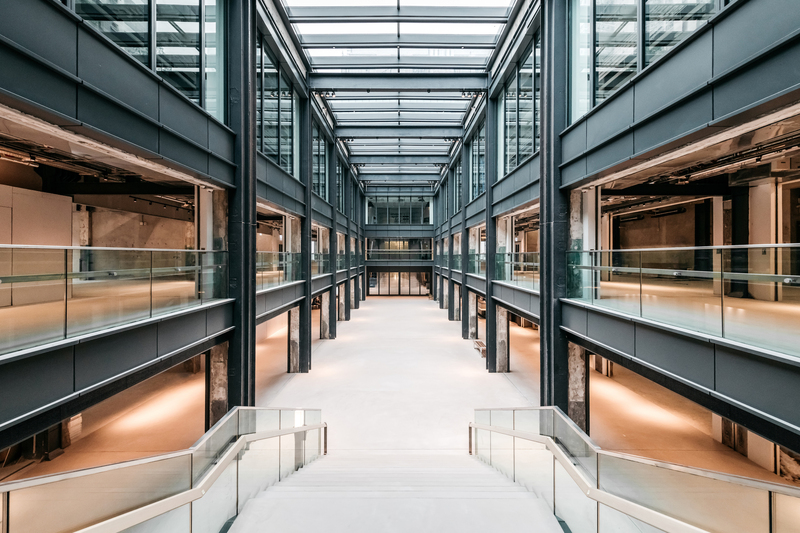 The Centre for Heritage, Arts and Textile (CHAT) is one of the three pillars of The Mills, alongside The Mills Fabrica (a techstyle incubator) and The Mills Shopfloor (an experiential retail space). CHAT is a unique exhibition and studio space comprising three galleries that weave together contemporary art, design, science, heritage, community and craftsmanship. 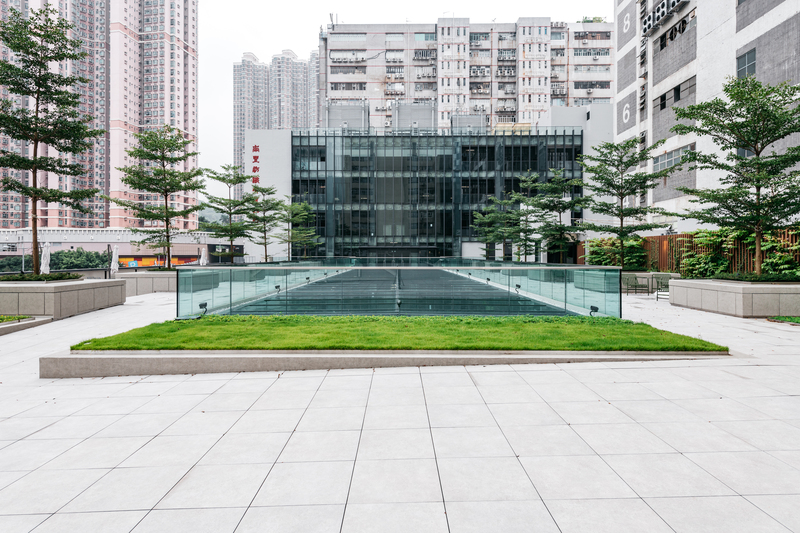 Through its curated programmes, which include permanent and temporary exhibitions, artist talks and immersive co-learning workshops, CHAT invites visitors to witness the innovative legacy of the Hong Kong textile industry up close. 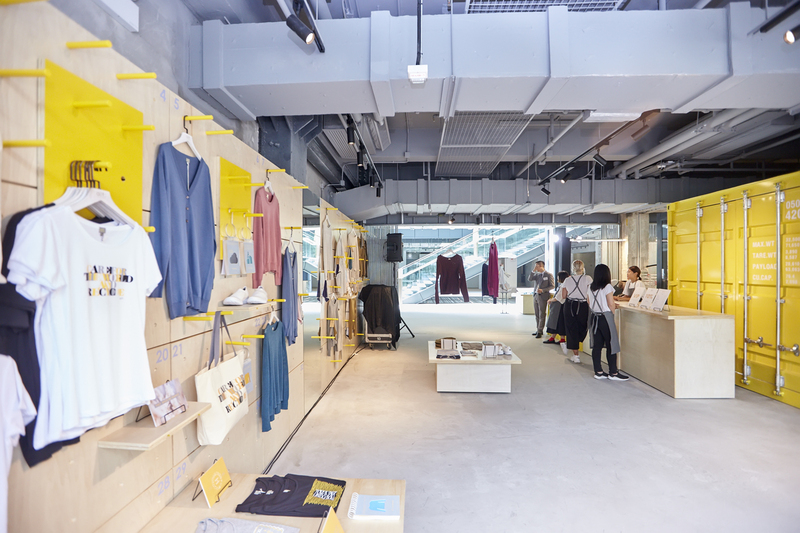 Shopfloor is the complex’s experiential retail zone, where visitors can patronise a wide variety of established and upcoming local businesses and learn about the creative process behind their products. 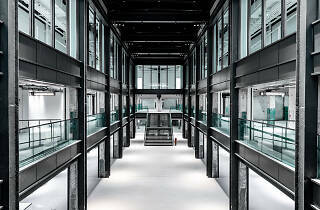 The vibrant mix of tenants includes design and tech pop-up stores, furniture outlets, breweries, cafés and cake shops. 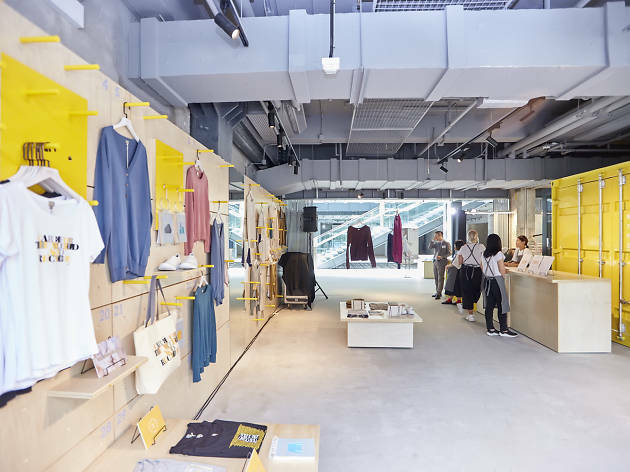 Highlights include EONIQ, a young brand specialising in customised mechanical watches; Alt:, a garment upcycling experience; and Mou 1 Mou, an artsy, modern offshoot of the venerated Tei Mou Koon Dessert shop from Kowloon City. Both visitors and retailers alike benefit from The Park at The Mills’ rooftop, a formerly vacant concrete space that’s been turned into a verdant urban oasis and neighbourhood hangout. The Park overlooks the industrial sprawl of Tsuen Wan. There’s also another rooftop, The Deck, which contains a vegetable patch for the complex’s restaurants, as well as a 20-metre wall designated for commissioned artworks. In keeping with The Mills’ focus on revitalisation and sustainability, many remnants of the complex’s past have been lovingly preserved. 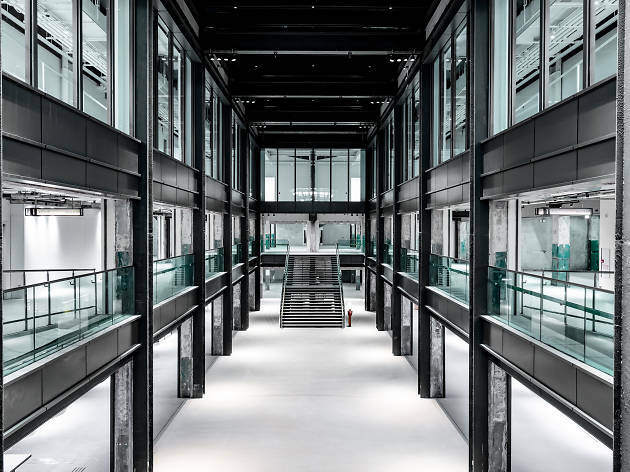 Elements such as chipped paint, old-school “no smoking” stencilling on the wall and exposed beams and reinforcements have been left untouched to pay homage to the buildings’ industrial past. 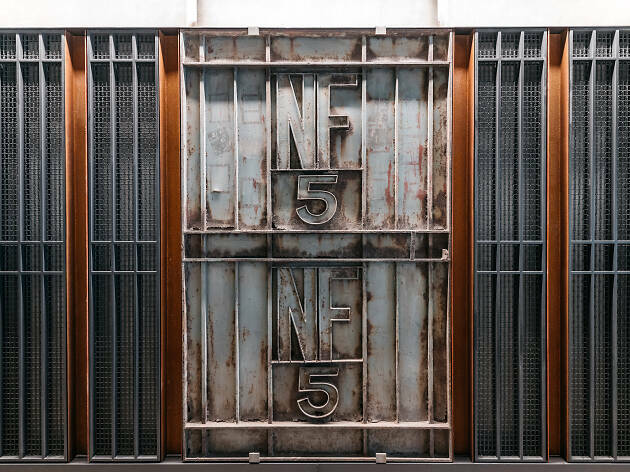 One example is the gate to the Shopfloor, which remains adorned with the ornate imagery of Golden Cup, one of Nan Fung Textiles’ champion brands. 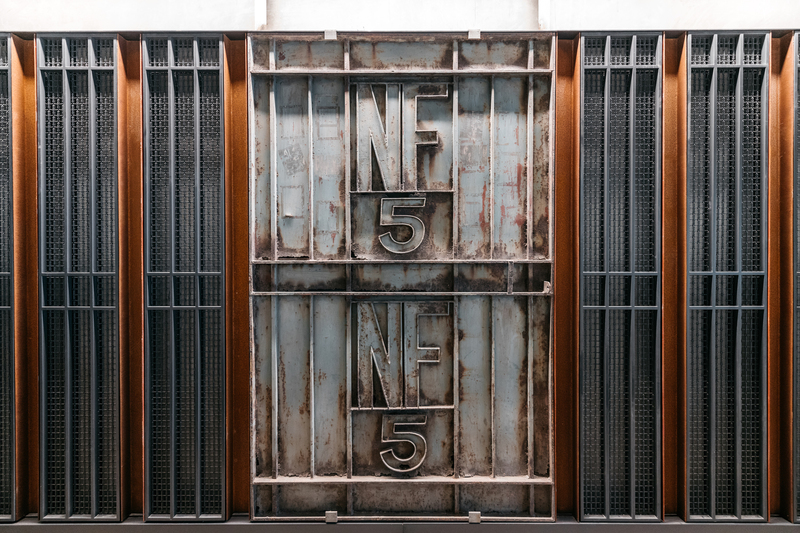 Other historical features, such as the NF5 gate – an iconic Tsuen Wan sight – and the green staircases have also been retained as a reminder of the factory workers whose dedication and hard work built Nan Fung’s fortune. 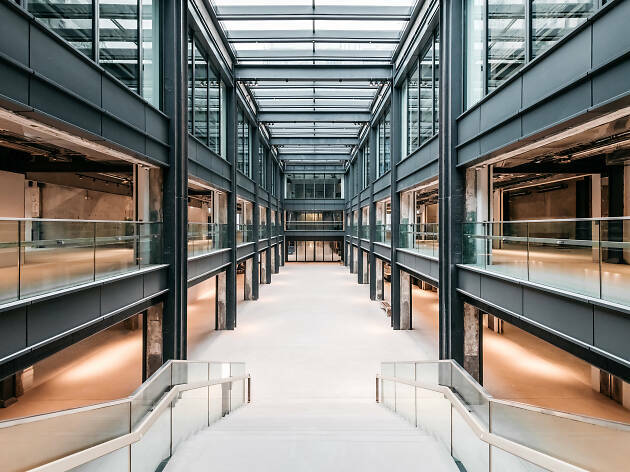 The authentic and literally industrial-chic historical elements, modern fittings and abundance of artistic features all make The Mills endlessly Instagrammable. 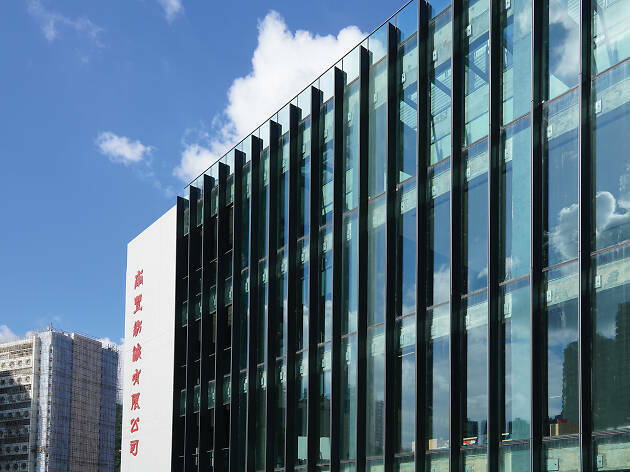 Besides the stunning rooftop garden, the five glass bridges that connect CHAT to Shopfloor are some of the most eye-catching additions to the complex, while design touches like the incorporation of sand buckets into the safety signage show thoughtful consideration of the building’s historical imagery. 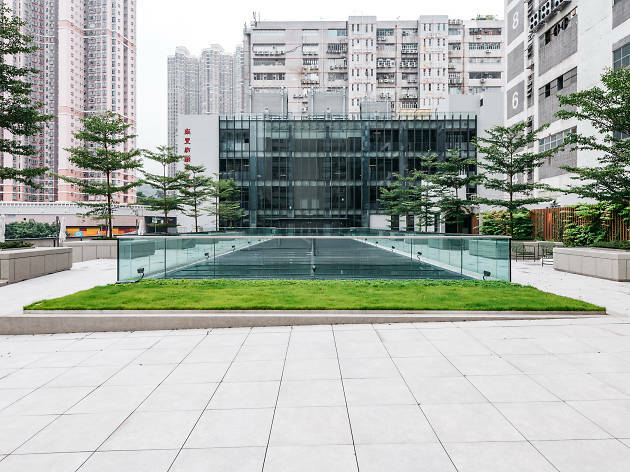 For one of the most photogenic spots in the whole complex, visit the Hall – a gorgeous, light-flooded atria that functions as a gathering space for the community. 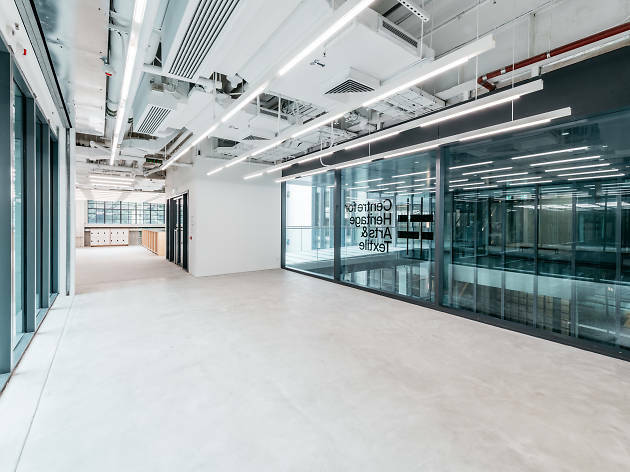 Originally a cotton mill, this 1960s Tsuen Wan factory building has taken a new lease on life. 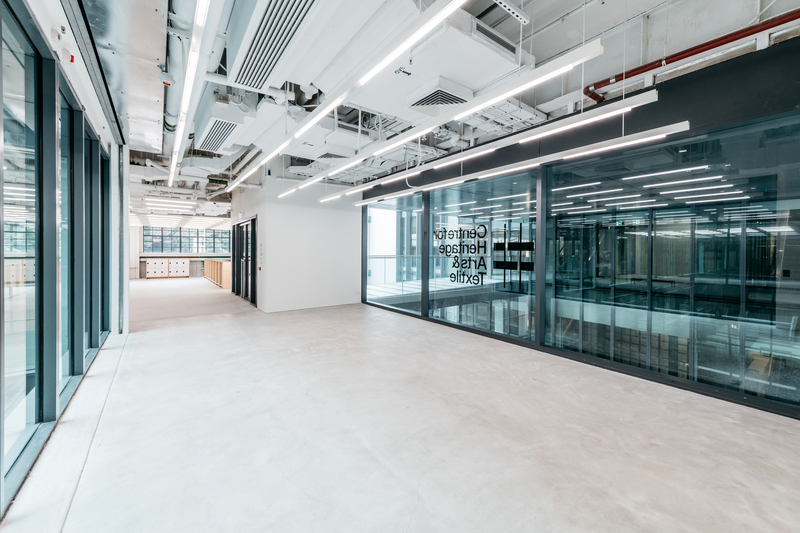 The 264,000 sq ft space has transformed into a hub for techstyles startups and partners while also functioning as a financially sustainable social ecosystem.